We sell the 2019 salt lake city superpass @ $94 for alta and snowbird. The daily ticket rate at the ticket window is $116 at alta and $135 at snowbird. Please call the owner to verify availability or to learn about my other properties listed on Homeaway 127340, 207585, 320226. The perfect vacation rental is only a click away. This luxury condominium easily sleeps up to 10 and has all of the comforts of home, including; a new 46' Sony Flat Screen TV, a Sony Home Entertainment system with a full set of mini Sony surround speakers and a full size pool table. Situated at the base of Little Cottonwood Canyon, you are literally steps away from hiking, biking or in the winter – the incredible Alta and Snowbird ski resorts. When the busy day is done, enjoy the ease of a casual dinner in many of the restaurants located in Cottonwood Heights or Sandy or take a short 20 minute jaunt to Downtown Salt Lake City for some of the amazing culinary offerings the city has to offer. Main: Enter the main level either by the front door or through the attached two car garage, and enjoy a fully updated kitchen (new Jennair glass cook top), microwave oven, range, refrigerator/freezer with ice maker, dishwasher, service for 10, utensils, pots and pans, etc., open dining area for eight, sitting area with new Jotul fireplace with on/off remote, a separate living room, powder room, and a game room with full sized pool table. The TV room has a new 46' Sony Flats screen TV plus a Sony Home Entertainment system with a full set of mini Sony Surround Speakers. For vacation rentals, short-term condominium rentals, family celebrations or group activities, Altabird Rentals is your destination for a home away from home. Visit our website for more information on this condo alta approach #1. I am the owner/manager of altabirdrentals and i ski at Snowbird. the unique benefit of this property is the proximity to snowbird and alta. we are located 1/4 from the base of little cottonwood canyon. Communication/Entertainment: Wireless Qwest DSL Internet, satellite TV, VCR/DVD player, stereo, CD player, and telephone. Floor by Floor: It's All in the Details. Main: Enter the main level either by the front door or through the attached two car garage, and enjoy a full kitchen (new Jennair glass cook top), microwave oven, range, refrigerator/freezer, dishwasher, service for 12, utensils, pots and pans, etc., open dining area for eight, sitting area with new Jotul fireplace with on off remote, a separate living room, powder room, and a game room with full sized pool table. Lower: The 800 square foot master suite is a getaway in itself with a king-sized bed, sitting area with a gas fireplace and a sofa bed, separate bath area with a double vanity, walk-in closet, enclosed toilet and bidet, a stall shower, jetted tub, dry sauna, and private deck. Two additional bedrooms with queen-sized beds and a shared full bath complete the lower level. Had an amazing stay in Utah. Loved the home--plenty of space for our guests. The pool table was in great condition too. Also really enjoyed the sauna which was perfect for after a day of powder skiing at Alta/Snowbird. I think the best part of the house is the incredible proximity to the ski bus stop at the mouth of Little Cottonwood Canyon. Was a short 5 min walk to the buses that run every 15 mins! Made the door-to-door to Snowbird only 20-25 mins. Josh also mailed home my phone after I accidentally left it behind. Overall, a great stay. Would recommend to all! Three levels of comfort with all the amenities of home. A short drive to ski at Snowbird or Alta. Other ski resorts like Solitude or Brighton are also within close proximity. The local towns include great restaurants, shops and everthing else you could need. The owner was very helpful with recommendations in the area. It’s the best of both worlds with the short distance to the resorts at a much more reasonable cost, coupled with all of the benefits of the surrounding towns. I highly recommend this property. Our party of 12 - 10 adults and 2 children - enjoyed our stay in this larger-than-expected condo that was about as convenient to Alta and Snowbird as one could get without paying resort lodging prices. We had plenty of space to move around, but there were also spots to congregate - in the kitchen/dining room area and (most enjoyably) in the sunken living room area around the gas fireplace. The bedrooms and loft sleeping areas worked well for us, too. The property owner was very responsive to our inquiries and also helped provide discounted SuperPasses for skiing (at several areas) that included round-trip bus transportation from the Park & Ride lot 1/4 mile up the road. The property was also very convenient to get to from Salt Lake City and it was only a short drive to major stores for grocery shopping and other provisions. We would definitely consider staying here again when our travel plans bring us back to the area. Great spot for ski vacation. Make sure you have 4 wheel drive to get up the driveway hill in a big storm. Hot tub is not located on site. Close to mountains, very spacious! 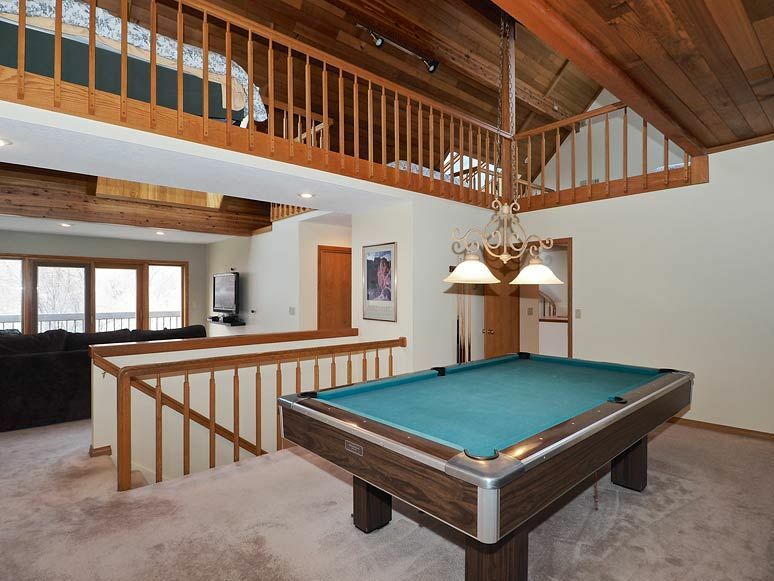 Perfect place to enjoy a long, enjoyable ski vacation. Josh was an excellent host. He was accommodating before and during the trip with all the questions we had. No complaints and would definitely book through Josh again! I’ve stayed here many times because it’s the perfect location and is so well maintained. The owner is super nice, welcomes everyone including families and is always readily available to make sure everything is perfect. It’s spacious and comfortable with every ammenity you need. It’s obviously close to Snowbird and Alta but acccess to Big Cottonwood is close by as are many great restaurants. I would highly recommend this property any time of year. Salt Lake Valley to the west and south; slopes of the Wasatch to the north and east. For parties of 6 or more people AND groups that reserve 5 nights or less may be charged an additional $150 cleaning fee plus fees mentioned in the rate area. if guest arrives at the property with more people than reservation was booked for, then the guest is responsible for 2 times the published fees for additional guests plus $150 additional cleaning fee. if client cancels a reservation they will be responsible for a $100 cancellation in addition to what homeaway vrbo refund to the client. the $100 fee covers all of homeaways service fees and credit card processing fees that they charge the owner.